The new Hydra hub system isn't just a higher tier option in their line. It replaces their current Torch series hubs completely, and it's joined by a new more value-oriented 101 series hub set with 90 points of engagement. The older Torch series, left and Hydra, right have a different pawl, drive ring, and bearing system. According to Industry Nine, having the highest engagement wasn’t the principle goal with Hydra - the primary goal was to make the most durable high engagement hub system possible. A standard pawl driven system has between two and four pawls that engage simultaneously, a design that's intended to equally distribute the load around the drive ring and freehub body. That's the theory at least, but when you’re actually riding down the trail there are a lot of different forces acting on the bike and flexing just about everything on it, including the hub shell, axle, and drive ring; there’s constant movement and stress in the system. Occasionally, with all of those outside forces, you’ll end up with a single pawl engagement. This adds a big cantilever load to the freehub body and the freehub bearing as well as the drive side hub shell bearing. This can lead to accelerated bearing wear, freehub body wear, and it can impact the efficiency to the system because the bearings that are supporting the freehub are taking an increased load.With Hydra, there’s a 115-tooth drive ring, and 6 individually phased pawls, equally spaced from each other. 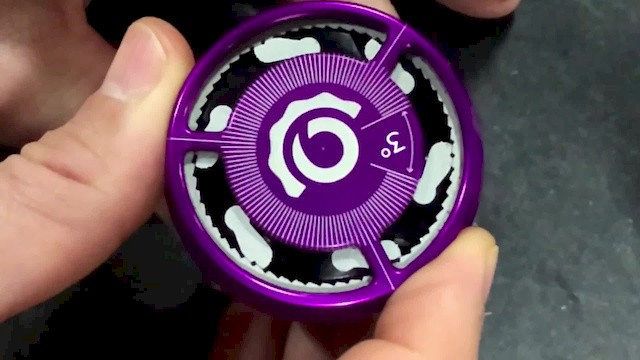 This means that all of the pawls, and the teeth on them, catch the teeth on the drive ring individually instead of simultaneously. That means that each time you move the drive ring one tooth over you’ll get six individual clicks. The Hydra system also uses a leaf spring system under the pawls instead of the tiny coil springs found on the Torch system. In the video, you can see the difference in the phasing of the older 3-degree and new Hydra design. You have one leading pawl that starts to take the load or force from pedaling, but because the pawls are phased close together and the tooth count is so high, as soon as you apply torque to the system, or pedal, a second, third, and fourth pawl will start to take some of the torque load and evenly distribute the load. It utilizes the inherent flex in the drive system to transfer the torque and ensure that a single pawl will never take the entire load. This is where Industry Nine claim that their system has an advantage over a traditional pawl system that can’t limit that flex - they say it limits and minimizes wear and tear on the system and provides a more consistent ride.With the new freehub design there's also a new bearing and axle configuration on both the front and back. The new design uses a smaller diameter axle and a larger bearing. The rear axle is now a 15mm spec, down from 17mm. This was done to increase bearing life and to be compatible with Shimano's Micro Spline freehub. The other reason for the change was to increase the stiffness of the axle system. The 15mm axle now makes a direct contact with the thru bolt, making a stiffer axle system overall. Not to be left out, the front hub also gets a new axle as well. Industry Nine's two new freehub bodies - 101 and Hydra on top and then their older Torch below. The first thing that I noticed with the wheels is that the loud, at times almost annoying “metallic rattlegator” sound that Industry Nine have become known for is much more subdued. It’s not quiet, but it’s less disturbing. If you’ve ridden Chris King or Project 321 hubs, it has a similar tone to those two now, more of a growl. There’s still a bit of I9 in there, but it’s much subtler. Usually after a half dozen rides or so, the wheels would get louder as the grease thins out but so far things are purring right along, and I’ve put a solid 30 hours, many of those in poor conditions, on the wheels.Now to the other part and what actually matters - 690 points of engagement…can you even tell? Plain and simple, yes. When switching from the older Torch wheels or the Project 321 hubs over to the Hydra hubs there was a very noticeable difference, similar to the sensation that occurs when you switch from a traditional pawl system with far less engagement to either of those. Does having that much engagement in the hubs make you a better rider? No, not at all, and it’s probably not going to help you get through any bit of trail you previously couldn’t clean. However, you can tell that it’s a high-quality system and it feels good - there’s no lag that I can tell when I’m crawling up technical terrain; the half-degree between engagement points essentially feels instantaneous and makes getting through tight spots seem more fluid.The new hubs are advertised to have less drag than the old Torch system and riding them proves this true. As far as bearing life goes, I haven’t had any issues thus far and I’ve ridden in some pretty sloppy conditions that tend to help shake those to the surface rather quickly. Hub shells come from a solid chunk of aluminum and pawls are cut from a sheet of steel. 690 points of engagement sounds pretty silly, really. Is it necessary? Time will tell whether the system is all that much more durable than traditional pawl driven set-ups, which is in my mind its biggest selling point. There’s also no doubt about it that Hydra’s engagement is noticeably quicker, smoother, and so far, I can say it works exactly as advertised. If you have lusted after high amounts of engagement in the past, consistently wreck freehub parts because you’re putting down massive amounts of power, or just like nice flashy wheels, I9's Hydra system may be worth checking out.